Beginning in a matter of mere weeks, the EU will be enforcing the General Data Protection Regulation (GDPR) – a set of laws designed to protect the personal data of its citizens. Effective May 25, the GDPR applies to any company that processes or stores the personal data of EU citizens. Created to simplify data protection laws in the EU, the GDPR aims to give consumers more control over how their data is used. A common misconception is the GDPR only applies to organizations operating within the EU. No matter where your business or server is located if your website processes the personal data of just one EU citizen, you must comply with the GDPR. 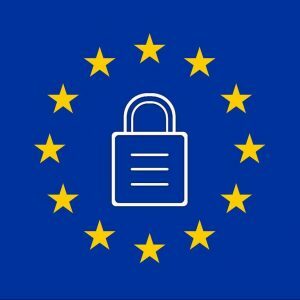 Websites with customers/visitors from the EU that collect, store or use any personal data of those citizens, will be required to meet certain GDPR standards. Here’s a few examples of simple data collection that makes you liable to the GDPR requirements. Not complying with the GDPR puts you at risk for massive fines up to $20 million or 4% of global revenue, whichever is greater. KartHost™ recently announced our partnership with FTC Guardian. We are now offering our customers a FREE 1-YEAR MEMBERSHIP (normally $288) with FTC Guardian the leading online resource for website compliance with the US Federal Trade Commission (FTC). FTC Guardian also helps in generating customized legal documents for use on your website. While its main focus is getting in compliance with the privacy laws of the US FTC, some FTC Guardian documents will overlap in getting you compliant with the GDPR. For all KartHost™ customers, login to your KartHost™ Customer Center and look for a popup page containing your unique URL and password. You will then be given access to your FREE 1-YEAR MEMBERSHIP with FTC Guardian.